Advanced nano-particle and submicron filler technology sets new standards for outstanding long-term aesthetics, polish, shine, surface luster and wear. Premise Indirect is an excellent choice for posterior and anterior teeth that oppose natural dentition. Laboratory processed composite resin inlays, onlays, veneers and crowns are easier to adjust, polish, and repair than their porcelain counterparts. The adhesive bonding process of Premise Indirect to enamel and dentin seals dentinal tubules and creates an insoluble micromechanically locked interface between tooth and restorative material. This strengthens the remaining natural tooth and can virtually eliminate secondary caries due to microleakage and bacterial penetration. 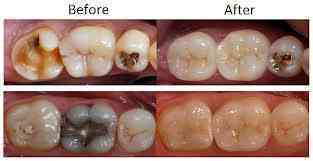 Premise Indirect restorations should be bonded using established adhesive techniques (i.e. a dual cure composite cement). Adjust the occlusion and polish with rubber wheels points, or cups followed by a porcelain or composite polishing paste. Carry the paste interproximally with floss to further smooth and polish the gingival margin.